Natural Rubber. Rubber Sole. Rubber Upper. Cotton Lining. Shaft measures approximately 14.6" from arch. 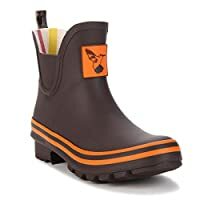 Boot opening measures approximately 15" around. Adjustable side strap . Expandable gusset . Branded metal buckle. 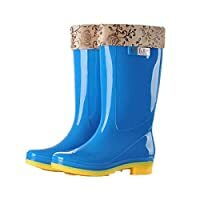 It is waterproof rain boots,and you can wear in daily as well.There are surely fashion rain boots. 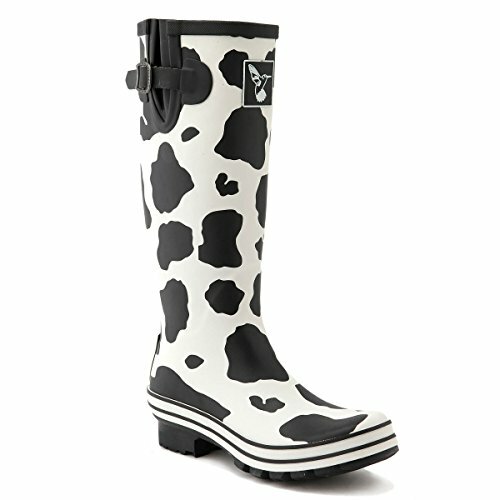 Natural rubber keeps you dry: Even on the wettest, snowiest days you can enjoy dry feet. 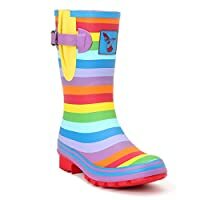 Please use our shoes size in the following the Product Description.This product is a bit small,Suggest buying a larger one.